This comes as part of the Cross-Border Directive that has been in place since last year. IRELAND HAS PAID out more than €150,000 to individuals accessing overseas health services in the past two years, according to new figures released by the HSE to TheJournal.ie. Since the start of June 2014, Irish citizens have been able to travel abroad to other EU member states to avail of medical services, with the HSE picking up the bill. Different to the ‘travel abroad scheme’, the Cross-Border Directive is not limited to patients accessing treatments unavailable to them in Ireland, or for which they would face a delay in receiving. The UK and Poland are the two most popular destinations individuals have travelled to access healthcare. What have people been travelling for? The two main areas that people have travelled abroad for have been orthodontics, a field of dentistry commonly associated with fitting braces, and orthopaedics, an area that includes hip replacements, knee surgery and joint reconstruction. In the first seven months of the programme a portion of €29,264 was paid out to individuals travelling to Poland and the United Kingdom for orthopaedics. Between January and March of this year this figures almost doubled, with part of €52,662 being paid out to patients accessing the UK healthcare system. This figure jumped again in the second quarter of this year, up to €71,941 paid out to patients travelling to the United Kingdom for orthodontics and orthopaedics. So far a total of €153,868 has been paid out to patients availing of other EU healthcare systems. Due to data protection, the information on countries of destination and treatments received refer to situations where more than five individuals have travelled to a certain country for a certain treatment. 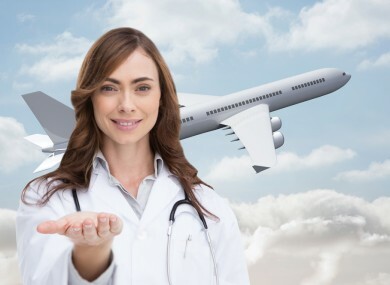 As such the specific destinations and types of treatments for a substantial number travelling outside of Ireland for medical treatment is not specified. Under the current system anyone who obtains a referral letter from their GP is able to avail of the system. This allows them to them to travel to an EU country of their choosing and avail of healthcare available up to the value of what would have been spent on their treatment within the HSE. The number of EU citizens travelling to use the HSE could potentially be zero. The figure is so low as not to register in the statistics when data protection is taken into account. In June, The Irish Times reported that there had been concerns within the HSE that the programme was a “high-level risk” that could have serious implications for the health budget. In a report released earlier this month, it was found that some national governments had been attempting to put blocks in place to individuals coming into their healthcare system or going to other systems to receive care. It was found that six countries had not paid out anything under the initiative since its introduction at a European-wide level in October 2013. In response to a query from TheJournal.ie, the Department of Health stated that it was “too early” to comment on whether or not the scheme had been a success. Email “The HSE has paid out €150,000 to patients going to UK and Poland for teeth and bone treatments”. Feedback on “The HSE has paid out €150,000 to patients going to UK and Poland for teeth and bone treatments”.